On a dark Wednesday evening you walk into the Leeson Lounge on Upper Leeson Street. It’s a great place to take refuge from the rain, the cold, or whatever is on your mind. You grab a stool and a pint. Some musicians are playing. At first you don’t take any notice. Then something happens: your left foot starts tapping. Some of the songs feel old, or of a different time, but here there’s new life being given to them. Very soon it’s hard to take your eyes from the stage. The band is Los Paradiso, and the music they’re playing is the Blues. Blues music is not something you’d associate with Dublin. Maybe Chicago or Memphis, certainly not Dublin. It’s just not what you’d expect. The Dubliners certainly didn’t play Blues. Yet this city has always enjoyed a vibrant Blues scene. Maybe it’s the difficult times the city has been faced with, but this music is very much at home here. It’s even possible to detect a family resemblance between Blues and Traditional Irish music, a result perhaps of the connections that existed in the 19th century in America between Irish immigrant and African-American musicians. 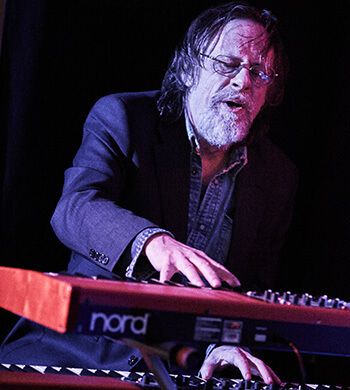 “There’s always been a bit of an audience for Blues in Dublin” says James Delaney, keyboard player from Los Paradiso. James starts telling us about the times Blues legend B.B. King came to town. “When he played Europe he’d have played 700 seaters in Germany, but when he came to Dublin he was playing a stadium; nearly 2000 seats”. James is going to be our guide through Blues in Dublin. He’s been a part of its history, and you’ll still find him playing every Wednesday night without fail. He’s toured with Van Morrison, played with Rory Gallagher, and even done a few shows with Chuck Berry. It’s quite a CV. Blues has a way of uniting young and old. “The younger players love it”, something James attributes to how different elements of Blues find themselves in so many other kinds of music. Blues would certainly be hard to get rid of. James laughs at the very notion. From Kilkenny originally, he found himself in Dublin where there was something of a scene developing in the late 1970’s. If you were lucky you could be playing seven nights a week. He mentions The Meeting Place on Dorset Street, Toner’s, The Baggot Inn and the Mississippi Rooms at the Marine Hotel in Bray. Sadly the only one of these still operating is Toner’s and this pub is no longer a venue for live music. So what are the best places to find some Blues now? “JJ’s or the Leeson Lounge”, responds James. It was reported last year that JJ Smyth’s on Aungier Street would not be with us much longer. But the current rumour is that this renowned Jazz and Blues bar could be sticking around longer than expected. It’d be easier to straighten an old dog’s tail than get rid of the Blues. There’s Arthur’s on Thomas Street, too, the Harbour Bar in Bray – and the Hot Spot in Greystones if you’re up for an adventure along the Dart line. Whelan’s on Camden Street also deserves a mention. Every Sunday evening Whelan’s features the Pyro Blues Executive, a group fronted by the Republic of Loose singer Mick Pyro. James has played with them often. What did he make of the unorthodox and eccentric Pyro? “Mick is very inventive”. Otis Spann, legendary piano player for Muddy Waters from 1953 to 1969. What’s a good album to start with if you haven’t heard the Blues? For James it’s Otis Spann’s ‘The Biggest Thing Since Colossus’ (1969). “He never overdid it, he just did enough. He’d hit the nail in the right place”. The music is minimal – just enough to keep you listening. Depending on the speed of the song you might even find yourself dancing. Luckily there’s a space for that in the Leeson Lounge. The pub scene of the 1970’ and 80’s couldn’t last forever. “It took a bit of a nose dive with the first recession [in the 80’s]” recalls James. In many ways the vibrancy of Blues in Dublin, like the arts overall, depends on a healthy economy. To keep it going, you need places to play as well as passionate musicians. You’ll note that most of the venues mentioned by James are pubs. Pubs are thriving again in post-recession Dublin and this has had a knock-on effect for musicians around the city. Like James Whelan, for instance. As we said, you’ll find him playing with Los Paradiso most Wednesdays at the Leeson Lounge. Being in The Dubliners always made you feel like a bit of an ambassador for the city. I mean we were all instantly recognisable, and I think people felt at one with us. There’s a nice feeling of unity about being a Dub. And Dubliners in general never made any great fuss of their own sons and daughters who became well known (laughs). 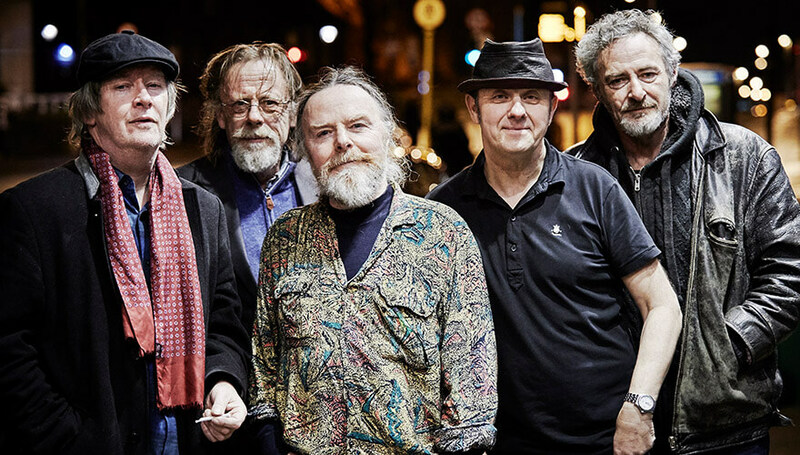 When The Dubliners celebrated their 50th anniversary in 2012, I had been with the band for 48 of those 50 years. I served an apprenticeship as an electrician in the ESB, and worked there as a draftsman for a few years. But the music was always a hobby, and at a certain point I had to give it up and join the lads. It was precarious in the early days, but there was always a great sense of adventure about the whole thing. We were doing it for the craic as much as anything else, and gradually it became a living. I think anybody who can extend their hobby to the extent that it becomes their livelihood, that’s a real privilege. Especially anyone who’s making music.